When love brought acclaimed Gold Coast chef Alex to sweetheart Jen's home town of Bundaberg, it seemed only natural that they take their shared love for entertaining and combine it with the abundant regional produce on offer, creating a space, now endearingly known as 'Water Street Kitchen', to share and celebrate incredible food and wine. 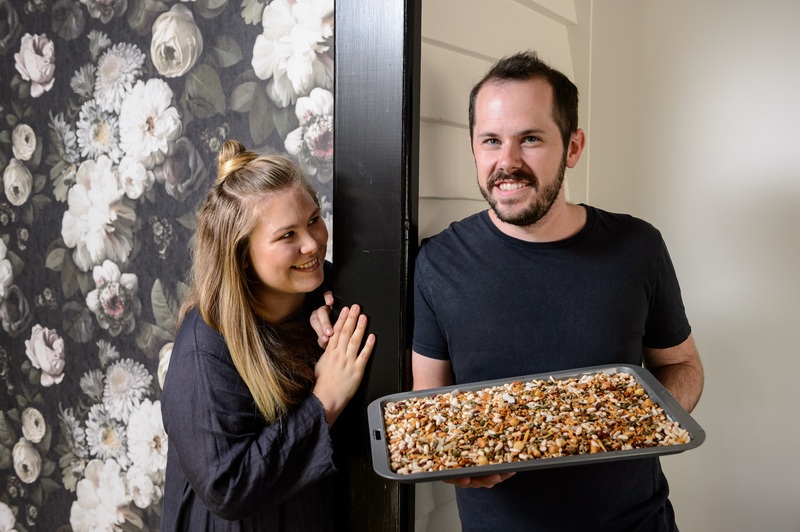 The pair have built a cult following since launching their 'The Long Lunch' events, and delicious regional produce has made their catering incredibly popular. Humble and well-grounded, Alex and Jen's personalities shine at the long table events they hold, where the honest, local food is the hero of their story. Alex and Jen shared with us that their main motivations – three in total. Firstly, they are driven by their customers or, in their eyes, Water St Kitchen's extended family. Alex and Jen's commitment to the experience they are creating is evident in all that they do, from the décor of their new restaurant, to the food they serve, to their interactions with their customers from beginning to end. Secondly, they find great inspiration in the incredible variety and abundance of produce right in their backyard. The sheer scale of the produce grown here is Bundaberg North Burnett's best kept secret, and it is the local farmers, their suppliers, that motivates and inspires them daily. Their last is also their sweetest motivation – their daughter, Sofie. Coming home to Bundaberg means their baby girl will grow up surrounded by family, both those she's related to and those who make up her new extended customer family. Alex and Jen are building a business imbedded with family values and the best possible food and future for their child.